The Los Angeles Chargers announced they have agreed to a four-year deal with linebacker Melvin Ingram. 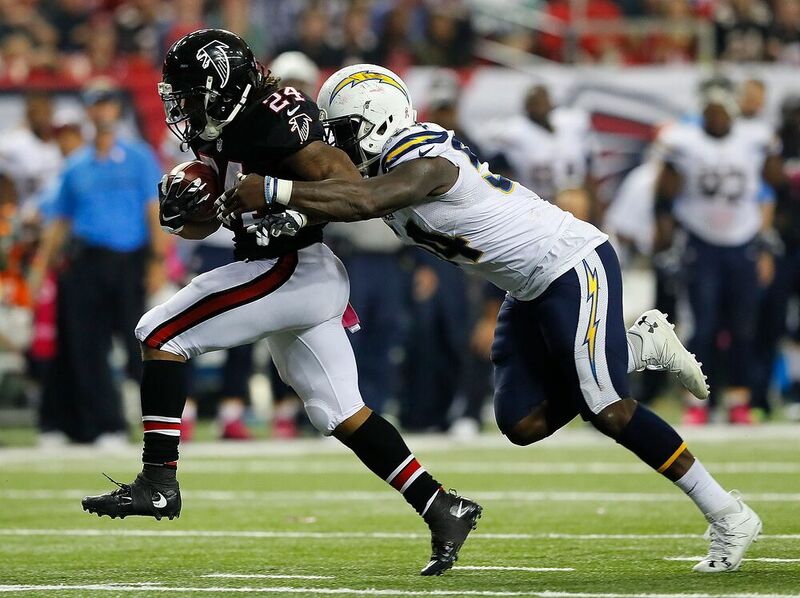 The Los Angeles Chargers took a big step towards shoring up their defense Sunday, announcing they have agreed to a four-year contract with outside linebacker Melvin Ingram. They had placed the franchise tag on Ingram earlier this winter. According to Ian Rapoport of the NFL Network, the deal is worth $66 million with $42 million in guaranteed money. With an average salary of $16.5 million per season, that only leaves Ingram behind Von Miller ($19 million) and Justin Houston ($16.8 million) among linebackers on a per-year basis. It is also the same amount per season that Chandler Jones will make. The Chargers selected Ingram with the 18th overall pick in 2012 out of South Carolina. Injuries limited Ingram to only 13 games in 2013 and 2014 combined, but he has played all 16 games in both of the last two seasons. Not only has Ingram been able to stay healthy, but he has created a lot of pressure on opposing quarterbacks as he has recorded 18.5 sacks over the last two seasons. In 2016, he finished with 60 total tackles, five forced fumbled and five passes defended. With Ingram now locked up long-term, the Chargers have a fearsome duo as defensive end Joey Bosa will only be entering his second season in the league. Despite playing in only 12 games, Bosa had 10.5 sacks and 41 total tackles in 2016. Getting Ingram locked up early is also significant because the Chargers won’t have to worry about him holding out of training camp. Bosa held out last season and wasn’t signed until the end of August. A big contract means big expectations for Ingram, so he’ll need to stay healthy and continue to produce if he’s going to live up to this kind of contract. With pass rushers always at a premium in the NFL, this is a risk that makes sense for the Chargers.